Eclectic Acoustic at The Heeley Institute – Feb 6th, 7pm | IT'S HAPPENING IN HEELEY! 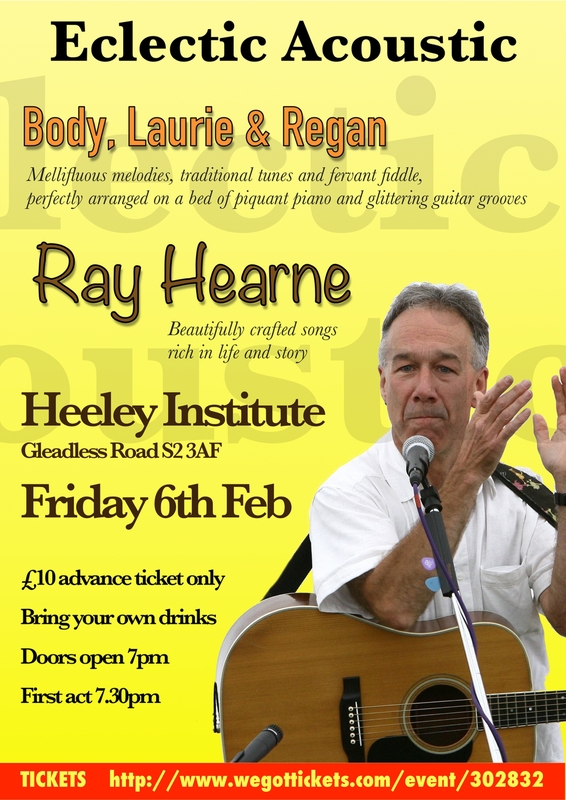 The former steelworker turned poet and singer-songwriter Ray Hearne will be performing at the Heeley Institute on Friday, February 6th with support from the fiddle of Val Regan, keys of Richard Body and tenor guitar of Matt Laurie. Ray will be familiar to many from his weekly poetry broadcasts on BBC Radio Sheffield, as one of the writers of the Radio Ballad series for BBC Radio 2 and as chair of the No Masters song-writing co-operative.